Florida Senator Marco Rubio is praising President Trump for empowering the Cuban people. How did he do it? Well, he reversed some of former President Obama’s diplomatic concessions with the Castro brothers and Rubio is cheering it on. “He is tough! Man! He is tough and he is good!” Trump said. I can’t help but think before we get all warm and fuzzy about Rubio that we should take a look at a few things…does he play both sides? Some people seem to think tomorrow Rubio will be back to trashing the President. Just on the 8th of this month, wasn’t he trying to prove he didn’t defend President Trump in any way? This guy seems to be all over the place. I guess I just don’t like the way this guy conducts himself. It would be nice if little Marco could put his “big boy” pants on and defend our President from liberals meritless, relentless, vicious attacks. Until he does, Marco Rubio is just an arrogant young fool blowing in the wind. 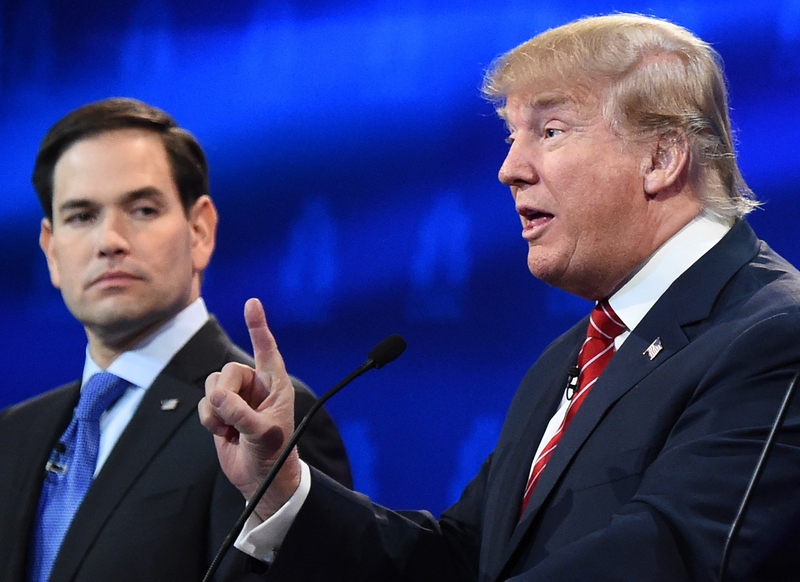 President Trump has enormous credibility, this two-faced little puke Marco Rubio does not. Am I wrong though? What do you think?